What I'm making, when I'm open and general hat news. Check out my new sinamay straw collection for 2018. Got a wedding or occasion coming up? Make an appointment to see me and we can make that outfit perfect! Hi, the pub shop/ studio is closed at the moment while the pub is being refurbished. I'll be using the time to make new design ideas and hopefully get some hat making workshops organised so watch this space for more details. How much do I love this hat! This is what I'm going to try and make this week, I'm hoping to look this cool and stylish for the rest of winter. Thanks to all the lovely people visiting frost Fair @ Cody dock E16 today. It was great to meet great people doing great work and the mulled cider went down especially well (Thanks George!). Here are a few pics of the afternoon. A special thanks to those buying hats. I'm looking forward to hearing from those enquiring about commissions soon. Send me an email or give me a call. New black cloche with flower. 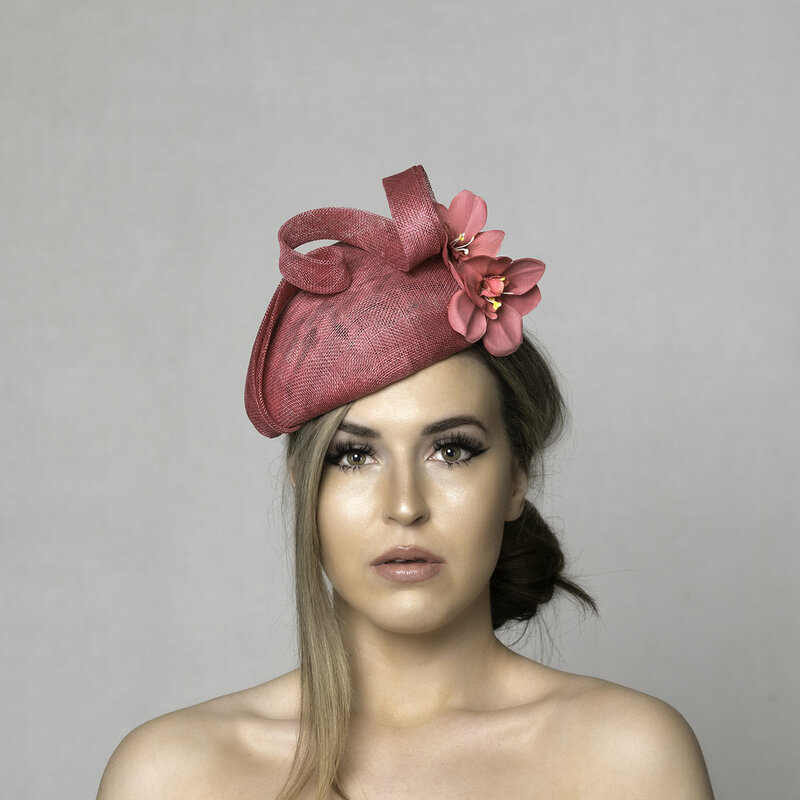 Classy and stylish, a perfect gift only £50 at Dawn Wilson Millinery @The White Hart. I'll be there this Saturday 3rd December from 12-5. It's small business saturday, don't forget!! Hello, I've delighted to have booked a hat stall at the Frost fair at Cody Dock on Sunday 11th December. The redevelopment of Cody Dock is a fantastic community project. This involves the restoration of a former abandoned industrial dock on the river Lea and regenerating the surrounding 2.5 acre site. Aims include linking the tow paths along the river Lea, providing creative studio and works spaces and providing a venue for music and arts projects. It's a fantastic hidden gem set among the industry of east London's river side. With fantastic views across London and a lovely community spirit. Important information: It also has a pub on a boat! These gift vouchers are available to purchase through my online shop. They are A5 in size and beautifully printed. I have set five price points, but if you want to specify a different amount please contact me. The vouchers can be used in full or part payment (depending on the chosen hat design) and are valid for 12 months from the purchase date. These vouchers make a wonderful Christmas or Birthday gifts. Many of my commission come via gift vouchers. Beautiful Maroon wide brim fedora with felt autumn leaves, available now from my studio @ The White Hart £75. Get it while you can because I'm seriously thinking about keeping this one for myself! Hello, welcome to the first entry on my new blog page. I've been doing some updating both online and in the studio/shop @ The White Hart. So check out my new Christmas window complete with snowflakes, snowballs and lovely hats for sale. I'm still taking commissions for Christmas but you will need to be quick as I'm getting booked up. If you are looking for inspiration check out my website which has some new pictures and for the first time, gift vouchers are available from the online shop. Look forward to hearing from you soon. This is me in my studio/shop in The White Hart pub in Crystal Palace. Many thanks to photographer James Balston for the image above. From time to time I've been asked to get theatrical creating bespoke designs for TV and stage productions. It's a great way to get the creative juices flowing, even if the deadline are punishing. Here are a few of my designs from the last few projects.